GREAT VALUE FOR MONEY - ALL SEAVIEW ROOMS - FREE INTERNET !!! Apartments in Makrigialos with seaview. Family hotel , 50 metres from the sea with view thermaikos golf, free wirless internet, etc. 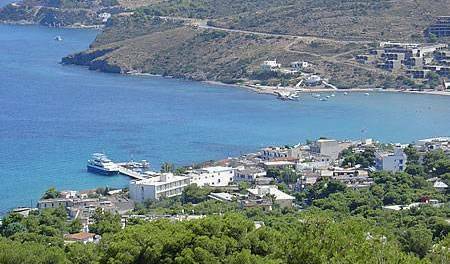 Angelika 's Hotel and Studios are situated in the most beautiful resort of Leros at Alinda. Guesthouse Arhontiko is a small, relaxing guesthouse, located in Taygetos Mountain next to Sparte. Enjoy the nature and piece of mind in a beautiful reserved mansion. Skateboarding, BMX, Blading, Skating, Hiking, Swimming, Camping, with your Greek Island experience! The traditional rooms Hariklia is a family business that offers affordable accommodation, located at the entrance of the village Zaros, just 5 minutes walk from the square Zaros. Vacation apartments with sea view. A great place for quite holidays on Southern Pelion Peninsula. A timeless panorama of natural beauty, perched wonderfully on the outstanding Cretan Olive groves. Sentido Villas is a two villas complex that offers supreme accommodation in the most privileged spot of Crete the traditional village of Armeni Chania. Hotel Frida is situated at a peaceful neighbourhood of Athens providing a hospitable and comfortable budget accommodation. A small Hotel for all the likes, Business, Tourism, week- end, enterteinment. Zorbas Beach Hotel is a beachfront complex of 53 apartments and studios that lies on the most beautiful part of the Akrotiri peninsula in Chania. It is situated at the most privileged position that boasts stunning views over the Cretan Sea. The apartments operate all year round, as the beaches of Agii Apostoli are ideal for winter swimmers as well. We provide free parking space for all customers. If requested we also provide baby cradle, iron and ironing board and hair drier. Beautiful 4 star Boutique Style hotel in a tropical setting By the Sandy Beach Stavros or Zorbas Our Hotel is surrounded by beautiful beaches we have a view to Zorbas Mountain. Breakfast is served at whatever time our guests wake up. The 5 apartments are located in Daratsos , New Kydonia, only 4 km from Hania and 1, 2 km from the beach in one of the most beautiful spots of the Crete Island. Our relaxing haven is conveniently located just minutes away from the city center of Chania, in the well known area of Halepa, from which it has received its name. Angela Studios can be found nestled among the small selection of traditional tavernas, local bars and mini markets on Haraki beachfront. These simple studios are perfectly located for a peaceful and relaxing holiday 5 meters distance from the beach. Located on the outskirts of Sernikaki, a 15-minute drive from the ancient site of Delfi, Kelari Studios offers a traditional restaurant with terrace, and spacious rooms with large balconies. More value for your money. Renovated rooms. Reasonable rates. Private wc/shower. Central location, Free wifi. A warm welcome awaits you at the Varonos Hotel in the heart of Delphi. Wonderfully located, over looking the famous olive valley and the Corintian gulf. Our hospitality will surely make you feel at home. Parnassos hotel is the ideal place to stay all year round. Centrally located in the heart of Delphi, it is conveniently situated for visiting the famous Archeological site and Museum. Completely isolated from noises and traffic with balconies open onto a magnificent & uninterrupted view of the Gorge of Delphi. Great hospitality in a pleasant environment. A magnificent combination of the Corinthian Gulf & the olives grove of Itea is the view from our balconies. Centrally located. Luxury apartments in Syros island - 33 square meters living space - 1 bedroom- accomm. 2 persons. For your Accommodation in Cyclades Siros Island visit Pefkakia Park Rooms, in the centre of Hermoupolis. Rooms according to modern standards, in comfort, cleanliness, hospitable and friendly enviroment, panoramic sea view. Full equipment, open all the year. Twin Studios in Ermpoupoli Syros, with balconies. Large & new. A quiet & relaxed setting in Hersonissos, Crete, 80m from the beach and 800 m from the vibrant Port. Fully equipped apartments for families or groups of friends up to five persons. a family run hotel, footsteps from the beach, good quality, reasnable prices, youre perfect choice. The Golden Sun is lokated between port and the Chora, is an ideal place to relax in a clean, friendly family atmosphere. Ergina's studios in Ios island is a family owned complex just a few meters away from the capital village of the island. The rooms are fully equipped with air conditioning, television, fridge, kitchen and a shower. Avra Pension is a b&b hotel located at Yalos - Port of Ios island, in Cyclades complex in Aegean Sea. Our hotel spot is just 50m. away from picturesque yachting marina and right next to the white sanded Yalos beach. In a quiet environment, we managed to create a picturesque setting for relaxation and holidays. In our hotel you can enjoy Greek hospitality in a beautiful and luxurious environment, with guaranteed quality of service. 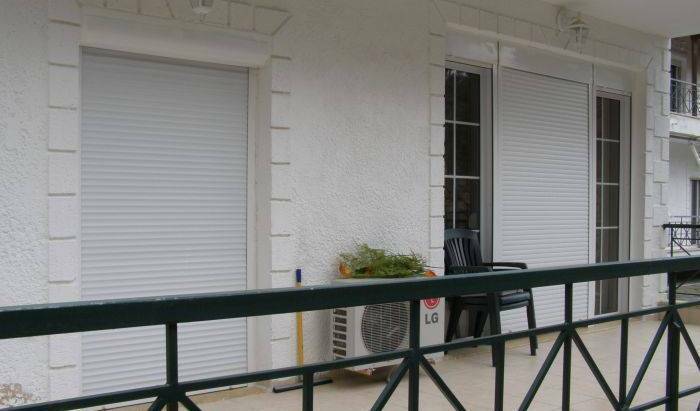 Rooms, studios and apartments with swimming pool, in Agia Pelagia, 18km from Heraklion. A great place for your holidays on Crete island. Come and stay at the brilliant hotel Sun. Our cottage consists of three traditional stone houses fully equipped seventy, seventy-five and eighty square meters respectively. Really, if you decide to visit us you will feel like being in a familiar environment and not in the hotel. Villa Rosa Is a small guest House run by an english lady . situated in the village of Karterados which is just a short walk to the main town a great place to stay if you want to get away from the big tourist crowds. Find the peace you need and let yourself take in the horizon and every little aspect of the rooms we have designed for you. Each apartment offers the truly unique and warm environment that you need to have an unforgettable holidays. Family small hotel in the twon of Fira . Rooms are all insuite with balconys or veranda. Breakfast and taxes include in your rate. Visit West Crete, find a smal family complex with studios and apartments, near the beach. Hotel Spiridoula is located at the village Klidonia. which is near Jannina, Greece, in a nice location next to the river canyon and Voidomatis (National Park), and close to a famous single arch masonry bridge which was constructed in 1853. Villa Meliti is a comfortable, relaxing and peaceful place. Small hotel exceptional service fantastic views on the cliff in Nikiana -Lefkada. Melpo Hotel consisted of 40 comfortable rooms. Luxury Hotel and Apartments with spectacular sea view and swimming pool near Ierapetra, Crete. Pyrgos Beach Apartments are in a peaceful and quite place in the East side of Malia. The apts are beside the sea and between two graphic old churches Jesus Christ church and St. Spirit church. Panoramic view and absolute relaxation in the most picturesque neighborhood of Malia village! Welcome to Matala Crete Dimitris Villa Hotel. Offering unforgettable holiday & vacation experiences in Matala, Crete, Greece since 1988!" Small family ranning hotel, in the center of village Mirtos. The traditional accommodation Palia Damouchari is located in front of the village'’s beach and consists of three guesthouses in Pelioritic architectural style with a panoramic view at the Aegean Sea. Picturesque hostel rooms at the heart of Mykonos Center! Picturesque hostel rooms-appartments very close to Town Center and Paradise Beach! Housed in a beautiful and neoclassic building, the luxurious Aroma Guesthouse provides its guests with a warm, intimate atmosphere and impeccable service. Traditional newly built apartments & studios for rent, all with a fireplace and all modern comforts, 200m. from the beach, 5 minutes away from Nafplion, at the picturesque village of Myloi, ideal for relaxing holidayws all year round. Traditional Family Hotel ''Atheaton'' is situated in the center of the old town of Nafplio. Soula Hotel is a friendly family run hotel located in the Saint George beach in Naxos island, only a 2 minutes walk from Naxos town centre. A small , quite and very clean Pension (B/B) in Naoussa/Paros/Greece . It is located 300m from the sea and 200m from the picturesque old town. Also the public bus stop and the famous harbour is only a few minutes walking distance far away. The luxury of paying less on accommodation and spend more on fun. Family run vacation lodging ideal for relaxing, budget holidays by the beach in western Crete. Welcome to the most southerly hostel in Europe. Luxuri suites and maisonettes in Crete. Set in Roussospítion, Amarandos Rethimno's Villa offers a private pool. Rent Rooms The Sea-Front offers 10 rooms and 5 studios ideally located in the center of the picturesque old town of Rethymno and just opposite the sea. 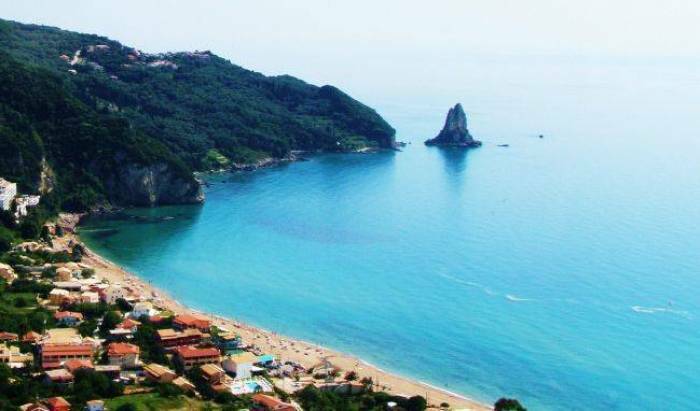 The Corfu Sea Palm Residence is located at 1km from the Center of Roda on the north of the Island of Corfu, highly touristic part of the island, at only 25km from the International Airport of Corfu. Vivian Studios is a small family hotel, located at the traditional village of Ialisos, Rhodes. The studios are equipped with kitchen, fridge, TV and AC and have balconies with beautiful flowers. Old town, Port and Airport are 7 km from Ialisos. Located in the outskirts of Faliraki, Rhodes, Millenium Studios is a multiple times awarded property at TripAdvisor. Nice & cozy studios for the whole family near the perfect sand beach. Just on the sea! Very nice self catering rooms and apartments for relaxing holidays! Fira Backpackers Place is a new budget place with private rooms and dorms at the down town area of Fira the capital of Santorini island. 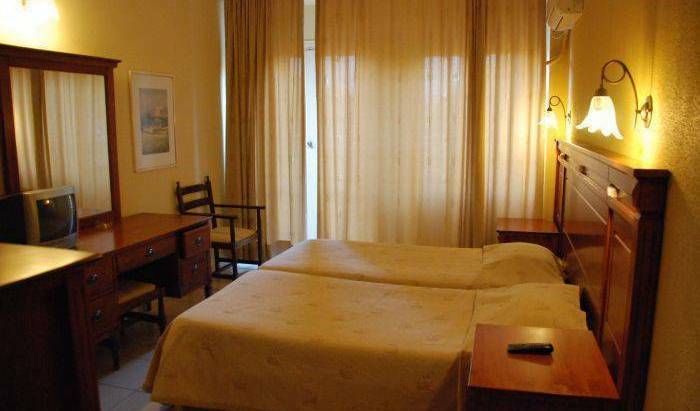 Anna Pension is a hotel nearby town with very clean room and welcoming you to an idyllic Greek holiday. Villa Zinovia is a complex of rooms and apartments situated in Perissa and Perivolos beach, all built in an elegant design based on the traditional style of the Cyclades. It's just a 15 minute walk into the capital town of Fira, and a 10 minute bus ride to the beach. Welcome to Santorini and the hotel Kalma. Hotel Kalma is a family business that has been operating since 1989. The people of Kalma hotel with an extensive experience in Santorini authentic hospitality await to offer you a unique experience in Santorini. Tucked in the cliff of the world famous caldera of Santorini, in the beautiful and artistic village of Oia, these unique apartments are the perfect blend of Greek luxury and tradition. At the top of the cliff in the heart of Oia village surrounded by charming blue domed churches, in an exclusive residential neighbourhood of private homes. Pegasus is a new luxurious complex built in 2004. It consists of apartments and suites decorated and furnished in the traditional Cycladic way. Tony's Villas is a beautiful, low cost hotel with authentic Greek atmosphere. Located 100 meters from Perissa's famous Black Beach. Steps away from nightlife, shopping, resturants, and beach life. At the center of the Santorini island, you will find ANNY HOTEL. If you want your holidays to be comfortable and luxurious, our hotel will surely meet up to your standards. Value for Money hotel, in the centre of Santorini, well known for its hospitality and efficient service. The complex Santorinifacile Villas is located in a very quite place on the beach of Agia Paraskevi (MONOLITHOS). 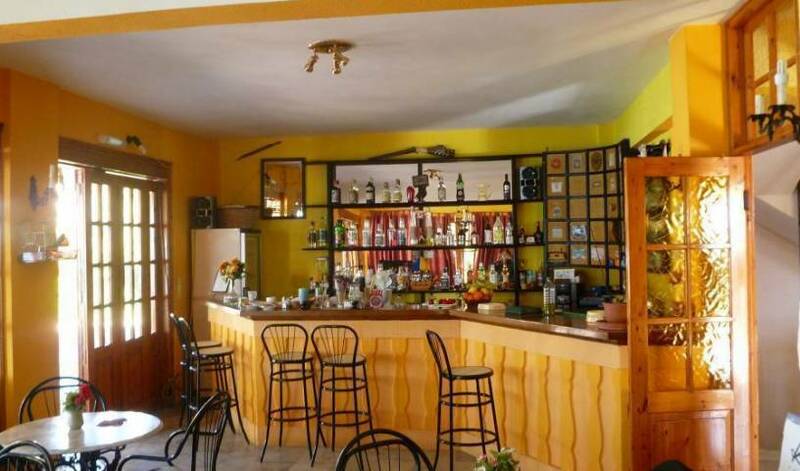 A Family run pension in an excellent location in the centre of the island. It's just a 15 minute walk into the capital town of Thira, and a 10 minute bus ride to the beach. ZACHARO rooms are situated at the highest point of Manolas village in thirasia island, with amazing caldera view. Margarita Hotel is located at Firostefani, one of the most beautiful spots in Santorini island. Just in front of the hotel begins the road that leads to Caldera. Kafieris on the cliff Hotel in Santorini island is located in the heart of the picturesque Fira, and only a few meters from center of Fira. Aressana Spa Hotel and Suites is a selected member of the worldwide recognized Association of Small Luxury Hotels of the World. Located in the heart of the cosmopolitan Fira on the island of Santorini, it offers guests dedicated personalized services. When your tired of missed connections, ferries, trains and unfamiliar city streets, sunrock is the perfect home to rest and play whilst enjoying our range of delicious freshly cooked breakfasts and home cooked evening meals. In beautiful historical Zakro we allocate two splendid apartments with 700 metres distance from the centre of village. At Korallis Villas website you can find all the details about villas for rent in the island of Kefalonia in Greece. Check the current prices of the villas and information about your holiday in the magnificent island of Kefalonia. Welcome to a great, comfortable brand new hotel in Santorini. 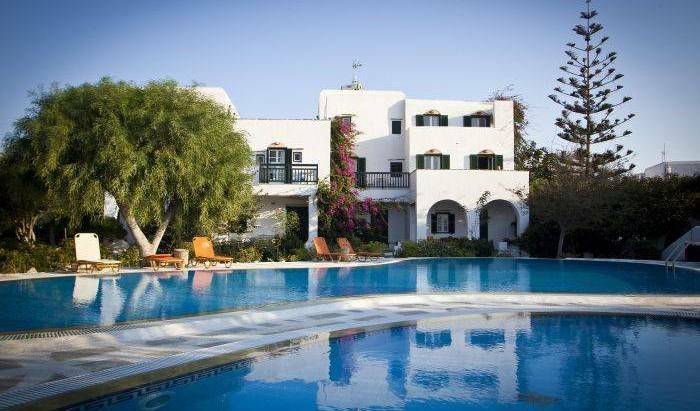 Visit the BEST hotel in the BEST island ..
Villa Evgenia in Fira on the island of Santorini is a Family Hotel. The villa commands an impressive view of the island's east coast & the surrounding countryside, while sunrises in Santorini from the hotel are quite beautiful. THE BEST-PRICED ACCOMMODATIONS IN THE ATHENS INTERNATIONAL AIRPORT MAJOR AREA. family run hotel, situated in the most beautiful and popular southern athen's riviera. A small Hotel near the beutiful beach of Voula resort with a very good local transportation. The studios are spacious and open plan with double or single beds, fully equipped as described above and with lovely direct view to the beach below. Studios can accomodate 2-3 persons.